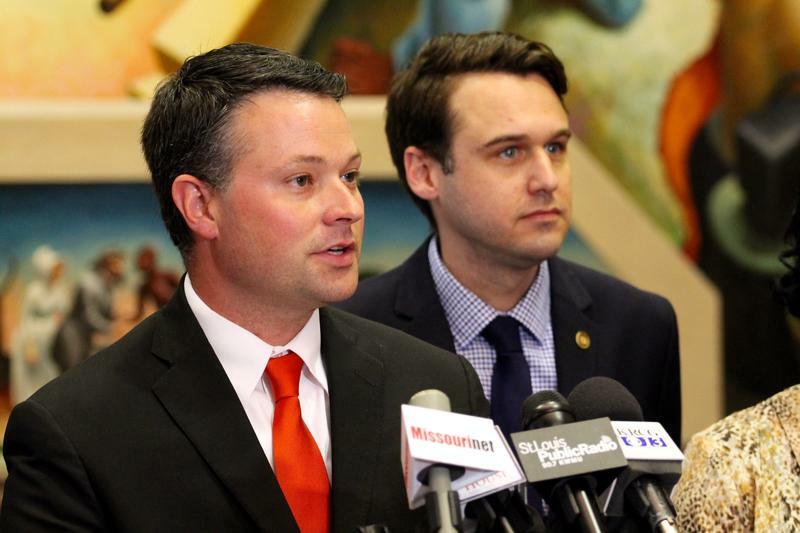 Sen. Caleb Rowden, center, was elected to the Missouri Senate in 2016. 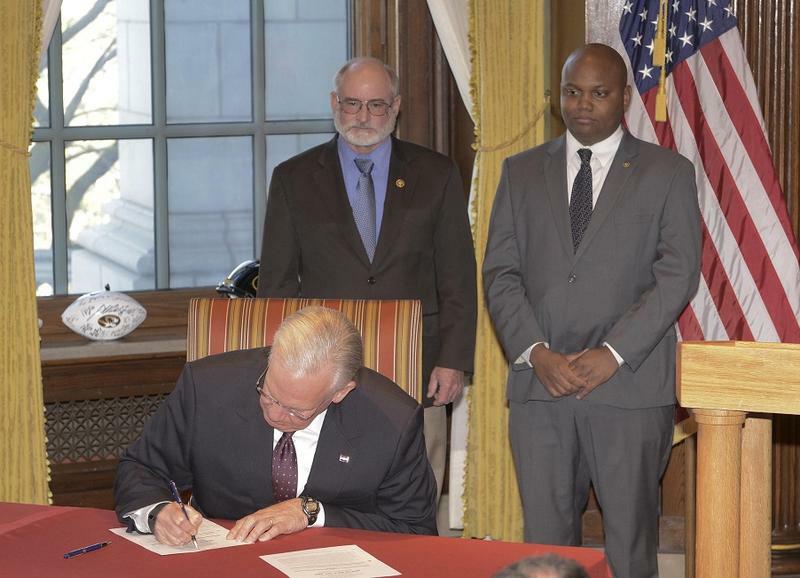 Rowden served for two terms in the Missouri House before getting elected to the Senate last year. He ran against Democrat Stephen Webber, who at the time was a state representative. The Webber-Rowden race became one of the most expense state Senate contests in Missouri history, with Rowden prevailing by a slim margin. Since joining the Senate, Rowden became a member of the Senate’s economic development, professional registration and government reform committees. One of his big priorities is increasing the amount of time a legislator has to wait before becoming a lobbyist. He also handled House legislation aiming to scale back on the amount meals, entertainment and travel lawmakers can take from lobbyists. Rowden expects Gov. Eric Greitens’ interim appointments to take up a lot of the Senate’s time during the month of January. Some lawmakers are up with the GOP governor after he helped orchestrate the firing of Commissioner of Education Margie Vandeven and took part in stopping state low-income housing tax credits from being issued. He said lawmakers need to tread carefully before “decoupling” the state’s standard deduction from the federal deduction. Recently-signed tax overhaul legislation doubles the federal standard deduction, which led some Missouri lawmakers to worry if such a move will prompt the state to lose hundreds of millions of dollars’ worth of revenue. Rowden believes lawmakers will move to limit that amount of money someone can donate to a municipal or county candidate. A constitutional amendment that voters approved in 2016 on placed curbs on state-based candidates. He’s less optimistic lawmakers will be able to place any restrictions on political action committees, which the amendment left largely unaffected. The Missouri House could debate a bill this week that would enact some changes to how lobbying is conducted and disclosed in Jefferson City. Currently, there are no limits on how much a lawmaker can receive in gifts from lobbyists. The gifts from lobbyists can include anything from food and drinks to expensive travel to sports tickets. 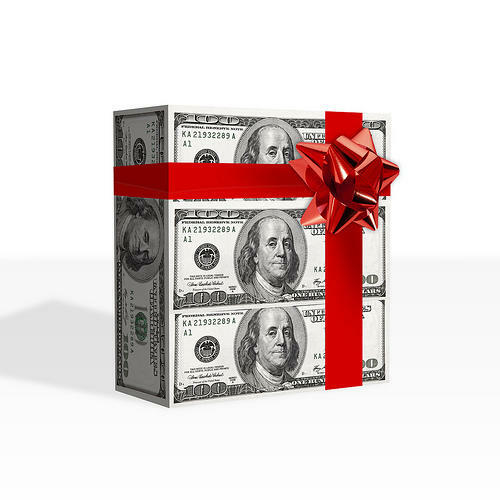 Altogether, lobbyists spend about $1 million each year on the gifts. 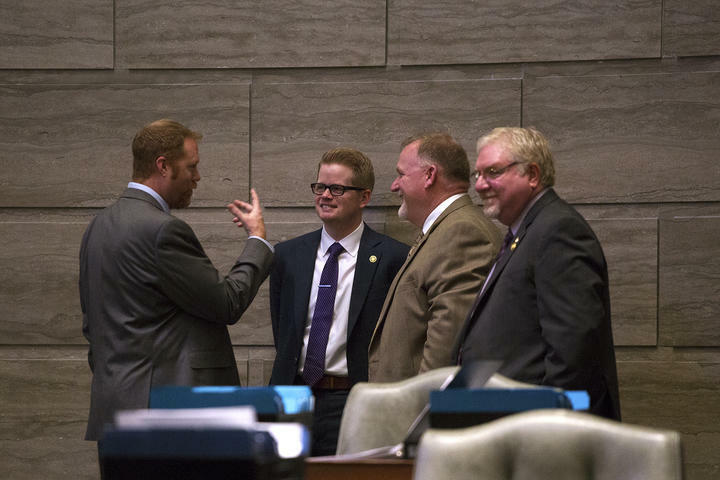 A bill by state Rep. Caleb Rowden, R-Columbia, would make some changes to lobbying practices, but it wouldn't be the sweeping ethics reform that many have called for.